When it’s time again to smog your vehicle either due to new out of state registration, CA state requirements, or change of ownership, you may ask yourself where should I go for a smog check and how can I increase my chances of passing? To answer the first question, you can save yourself some time and effort by focusing on Star smog and repair stations. The advantage of a these types of smog facilities is that they can both certify your vehicle and provide any repairs required to pass testing under one roof. Prior to these Star stations, older vehicles where required to visit separate facilitates for both smog repair and smog testing, which ended up taking more time and creating a frustration situation for car owners. Our automotive technicians run through a set of specific procedures during smog testing that help ensure the vehicle is ready to properly check. You can actually do a few of your own checks prior to testing that could potentially help increase it passing. During the mechanics’ initial visual inspection to ensure all required equipment is installed on a vehicle, they may encounter a check engine light. It’s important to ensure the issue causing the light is corrected prior to passing a smog check online projects. Car owners encounter this indicator light can take their vehicle to a Star smog and repair station where they can check if the light is either malfunctioning or if certain repairs are recommended before passing a smog check. This can help increase the probability of passing the first time. The mechanic will next run the vehicle through a dynamometer inspection that will test the emissions emitted from the tail pipe. As the car owner, one thing that can help positively impact this phase of the testing is to ensure your tires are properly inflated. If the tire pressure is too low it could cause addition drag and engine load on the vehicle. This may lead to less accurate readings of your vehicles emissions levels during the simulated driving conditions being tested on the dynamometer. Our smog testing technicians will actually ensure to correct any tire pressure issues prior to testing, which means one less item to worry about. 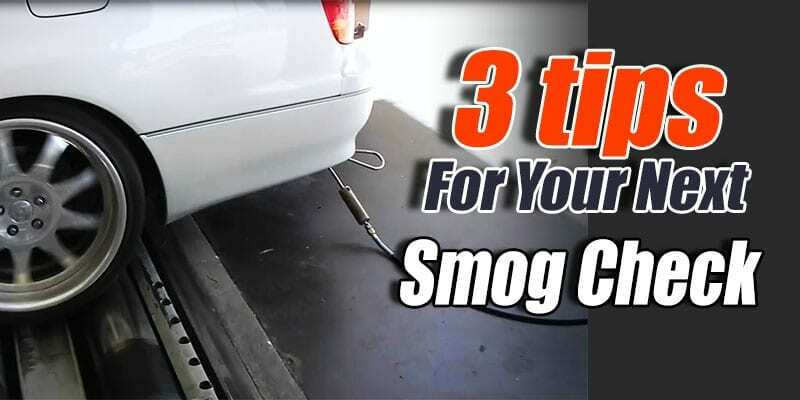 Finally, one last simple thing that can help positively impact your vehicles next smog check is to drive it 10 minutes before arriving at the testing facility. During the driving process, the catalytic converter will warm up, which helps increase the accuracy of the testing and the probability of passing. While these tips are no guarantee, they can help increase the likelihood of passing. Our team at Action Auto Cypress hopes these tips help everyone with their next smog check.